The ELR isn’t destined for the chopping block immediately. Indeed, there are even updates for the next model year. But the Volt-based Cadillac’s lack of U.S. sales success has been well documented. As a result, GM won’t be replacing the ELR when this generation is done. Which will happen with some degree of prematurity, we suppose. Yet as much as Americans have shown their distaste for the ELR, the Canadian appetite for an overpriced, underpowered, poorly marketed, distinctly Chevy-based Cadillac has proven much, much smaller. Here are the key numbers you need in order to understand just how little the Canadian auto market appreciates the Cadillac ELR. Through the first four months of 2014, the U.S. auto industry’s sales volume is 9.7 times greater. Cadillac sales in the U.S. are 15 times stronger. Yet the ELR is driven home by U.S. customers 26 times more often than it is in Canada. In calendar year 2014, the ELR was 30 times more common in the U.S. Admittedly, the U.S. luxury car market is typically signficantly stronger. And while GM, Ford MoCo, and the former Chrysler Group are looked upon with similar fondness on both sides of the border (43.6% Canadian market share YTD; 45.5% in the U.S.), their premium offerings are oft-rejected in Canada. Cadillac and Lincoln own 1.5% of the U.S. auto market, but in Canada, where their sales are currently growing faster than the overall market, their combined market share is just 1%. Moreover, hybrids, even range-extended electrics like the ELR and Volt, aren’t nearly as sought after in Canada as they are in the U.S. Blame frugality, blame the battery-unfriendly winter cold, blame the lack of tax credits across much of the country. One way or another, the Prius family sells 30 times more often south of the border than it does north of the border. But one sale? 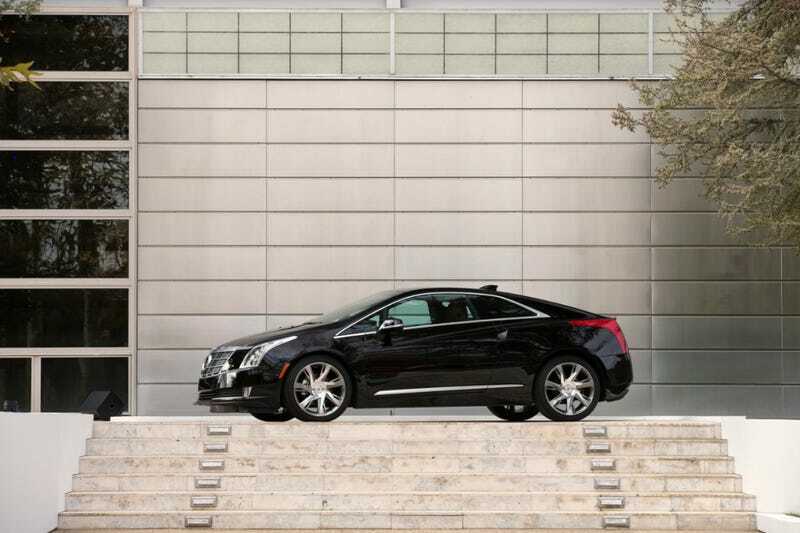 Just the one person who wanted to buy or lease an ELR? That’s a disastrous result by the standards of nearly any car. Porsche reported three 918 Spyder sales in Canada in April, triple the number of ELRs sold. The Kia K900 was four times more popular than the ELR. The Alfa Romeo 4C, buyers of which are heroes according to Matt Hardigree, was five times more popular than the ELR in Canada last month. We could go on, and so we shall. The discontinued Jaguar XK was seven times more common. The Nissan GT-R was 14 times more common. The Dodge Viper outsold the ELR 18-to-1. So did the Acura RLX. The Acura RLX, I tell you. Only 60 ELRs have found Canadians homes in the model’s first 15 months. In the United States, meanwhile, 1731 ELRs have been reported sold by General Motors since December 2013. Through the first four months of 2015, the ELR’s U.S. sales total equals 1.8% of Cadillac’s car sales total, 0.8% of Cadillac’s overall sales total, 0.1% of GM’s car sales total, and 0.04% of GM’s overall sales total. The Chevrolet SS looks like a best seller alongside. 893 of those sedans have been sold already this year, 2.2 times the ELR’s U.S. sales total. And in Canada? They didn’t even bother with that one. The SS is not for sale in The Great White North.